Just as western science has developed a system for describing the natural world (mostly in very long Latin names), the traditional knowledge systems of Aboriginal and Torres Strait Islander peoples have described and shared ecological knowledge for many thousands of years. This knowledge, along with deep connection to country, culture and people offers critical insights for how we understand and manage the Australian environment. The challenge is – how can this important knowledge be recorded and shared to support good decisions about looking after country? In a project designed to document species and share traditional Aboriginal names and knowledge of plants and animals, Aboriginal community members of Arnhem Land are leading the way in sharing biodiversity knowledge. 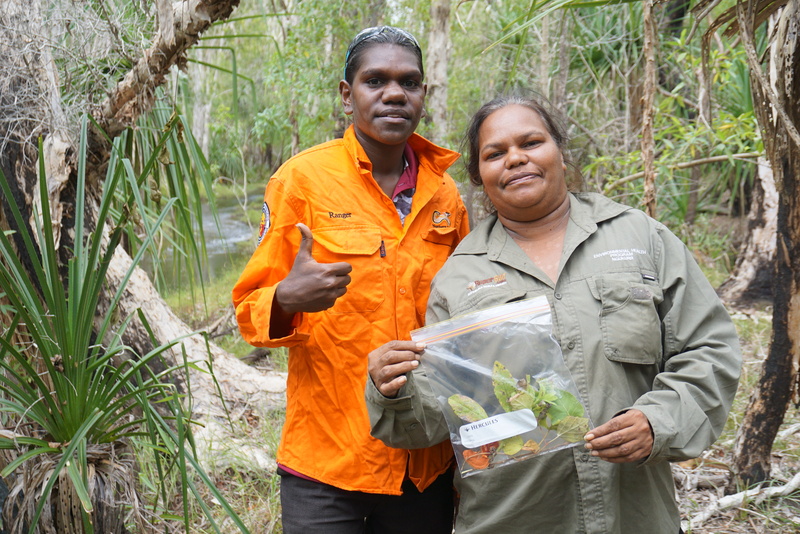 The Yirralka, Numbirindi and Yugul Mangi Rangers of eastern Arnhem Land are working with Macquarie University scientists to develop new tools for biodiversity assessment that can be applied across Australia. The data collected will then be analysed and communicated using cutting-edge digital techniques and recorded in the Atlas of Living Australia (ALA), a national biodiversity database hosted by us. Due to its remoteness, many parts of eastern Arnhem Land are not well known to Australian ecologists. However, like for nearby Kakadu National Park, the biodiversity of these remote areas is assumed to be threatened by invasive species and altered fire regimes. As there is little documented data to inform management, making decisions in these areas can be tricky and not always backed up by reliable data. To overcome this issue and invigorate Aboriginal knowledge and language of the biodiversity of this region, Aboriginal citizens of eastern Arnhem Land communities (Laynhapuy Homelands, Numbulwar and Ngukurr) will trap, observe, identify and record flora and fauna using Western and Aboriginal science. Data, including in Aboriginal languages, that is approved by Traditional Owners for public release will then be entered in the ALA, making it available for everyone to access. This project was recently awarded an Inspiring Australia Citizen Science Grant. These grants are provided on a competitive basis to support community participation in scientific research projects that have a national impact. Dr Emilie Ens, a Macquarie University scientist co-leading this project with Traditional Owners, is working with Aboriginal communities in Arnhem Land to develop research projects that incorporates local Aboriginal knowledge and Western Science. “This project is not just about citizens collecting data but about being integrally involved in all stages of biodiversity research to empower community decision-making about remote land management.” said Dr Emilie Ens, Ecologist, Macquarie University. This work forms part of ALA’s Indigenous Ecological Knowledge program, which is making the ALA more relevant and useful for Aboriginal and Torres Strait Islander people. In partnership with Indigenous communities working on country, the ALA is exploring the role that information management platforms play in bridging the boundaries between traditional and contemporary Indigenous Ecological Knowledge and western science. By doing so we hope to give prominence to Indigenous content in the ALA to enable a greater understanding of Australia’s biodiversity. This work is also contributing to the CSIRO Indigenous Futures initiative. You can find out more about the CSIRO Indigenous Futures initiative here. With all due respect, the aboriginal knowledge will probably help identify plants by their aboriginal names. 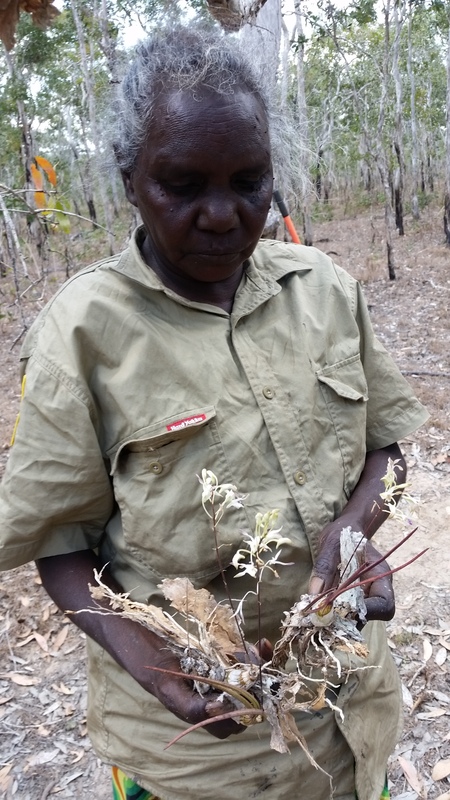 and share some cultural ideas about these plants such as the need to wash poisons from Nardoo before eating it. However, to dress this up as a major contribution to ecological or any other science is patronising in the extreme to the people who live there and understand the bush in which they live. Similar information would also be readily available from the stockmen who have worked the cattle stations all their lives. With respect, this itself sounds patronising. Please tell me if I am wrong in interpreting that you seem to be only looking at this knowledge in terms of what you can directly extract and exploit rather than trying to understand its development and use within an overarching ontology and environment. The point is not just to survive, but to live. See https://blog.csiro.au/aboriginal-people-how-to-misunderstand-their-science/ as well. Aboriginal culture is part of Australia’s heritage. Those who fail to accept this condemn themselves to only ‘pullulate timidly on the edge of alien shores’. We’d like to emphasise the project’s respect for knowledge and deep understanding of country held by Aboriginal people. This project has been developed, and will be delivered in partnership with, and guided by Aboriginal people and things they are interested in. The project recognises the essential nature of a collaborative approach and two-way knowledge sharing, which means using both western science and traditional knowledge in partnership to enable deeper insights on how we understand and manage the Australian Environment. We hope that provides you with some clarification on the work we do.